Share the post "Album review: GRAHAM GOULDMAN – Love And Work"
Graham Gouldman chatted to David Randall on Get Ready to ROCK! Radio, Sunday 12 August 2018. If ‘Love And Work’ had been released back in the seventies or eighties it would no doubt have garnered much airplay and attention. As it is, it slipped out initially back in 2012 and is now given a new lease of life ahead of 10cc’s extensive autumn tour. If that’s a sad indictment of where we are at with modern music in the millennium it is nevertheless another opportunity to luxuriate in some stellar songwriting and, in the process, re-evaluate the work of Graham Gouldman. Gouldman honed his craft back in the late 1960s writing for artists such as The Yardbirds and The Hollies , whilst preening his profile with 10cc in the early 1970s. More recently he has toured with his acoustic guitar in a “songs and stories” format and kept the 10cc spirit alive with regular tours. ‘Love And Work’ is dedicated to U.S. pop rocker the late Andrew Gold with whom Gouldman worked (in the band Wax) in the 1980s and 1990s. It also includes a contribution from Gold on ‘Cryin’ Time Again’. The album is full of great songs, and is in no small measure a celebration of Gouldman’s life. ‘The Halls Of Rock ‘N’ Roll’ hails those artists who provided the soundtrack to our lives (and Gouldman’s), ‘Daylight’ is an irresistible tribute to Gold (co-written with another talented pop rock scribe Chris Braide) whilst ‘Ariella’ is a song about meeting his partner, whom he married in 2012. Once again those warm vocals, harmonies and intelligent lyrics remind of 10cc and even primetime Macca. ‘Battlefield’ is another standout, one of several co-writes with Graeme Pleeth who has worked with artists as varied as Peter Gabriel and Tony Christie. Amongst Graham’s other collaborators/co-writers is Mick Wilson, who at the time was a member of 10cc and who most recently has been performing with Cats In Space. And three songs feature The Christians’ Henry Priestman. 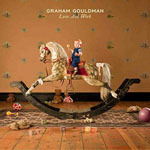 Gouldman’s previous solo album pre-dates this by 12 years but it was well worth the wait. One of those truly crafted song-driven albums from a true master. This entry was posted in ALBUM REVIEWS, ALBUM REVIEWS (Mobile), All Posts, Reissues and tagged 10CC, album, Chris Braide, Graeme Pleeth, Graham Gouldman, Henry Priestman, Love And Work, Mick Wilson, pop, review, singer, songwriter. Bookmark the permalink.